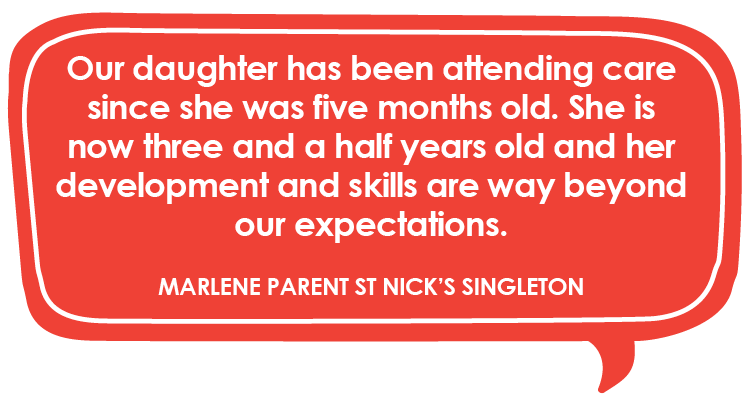 To find out more about enrolling in a St Nicholas Early Education centre, the first step is to contact us using the form on any of our pages. Once you've submitted your enquiry form, a friendly member of our team will get back to you with further information on moving forward with your child’s enrolment. 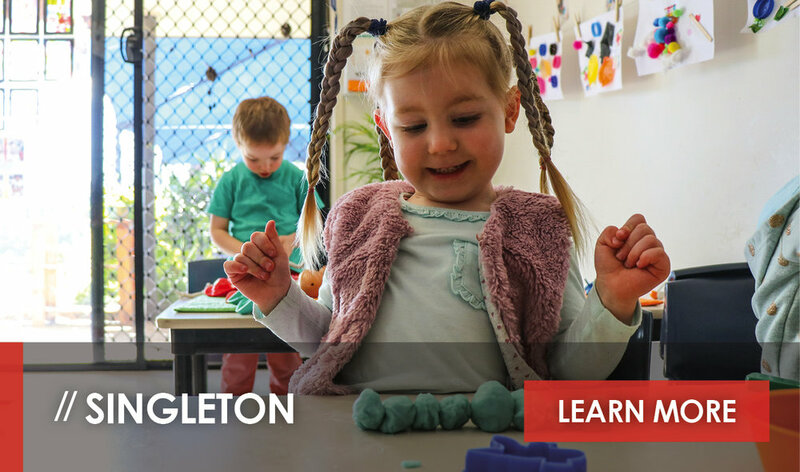 In keeping with our dedication to centre integration within our local communities, St Nicholas Early Education strongly believes in interactivity between educators, parents and the community. In working together, we build a community of curious and inquisitive children who grow into imaginative adults who approach life with ingenuity and creativity. We believe communication between educators and parents serves to deepen each child's unique and inquiring mind as they build their individualised picture of the world around them and their place within it. In learning and development, St Nick’s believes educators, parents and the community are co-collaborators in nurturing creativity and fostering curiosity. 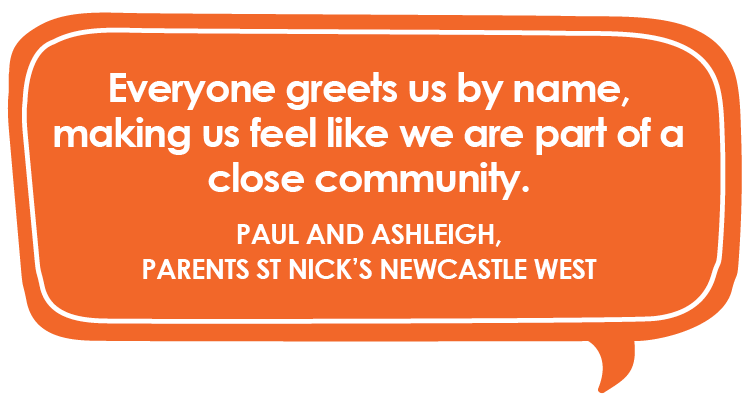 In the spirit of collaboration, St Nicholas encourages constructive, open communication between the parents of the children at each of our centres and our educators as well as our team at St Nick’s Home Office. 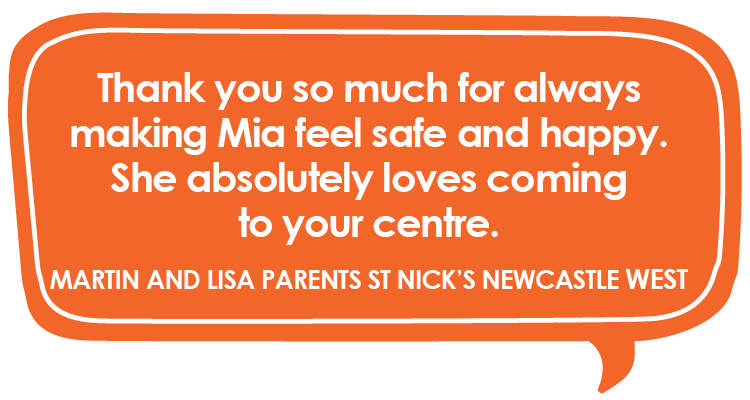 As parents or carers of children currently enrolled at St Nicholas Early Education or prospective parents and carers, if you have any questions or concerns related to St Nick’s or any of our centres, please contact us using the form on this page. To stay-up-to-date with St Nick’s by following our news and information page. You can also join our community on Facebook and Instagram. The playground of St Nicholas Early Education Lochinvar recently won an award for its design. Sean Scanlon [Chief Executive Officer, Diocese of Maitland-Newcastle] and Kerri Armstrong [General Operations Manager, St Nicholas Early Education] break ground at the future site of St Nicholas Early Education Branxton. 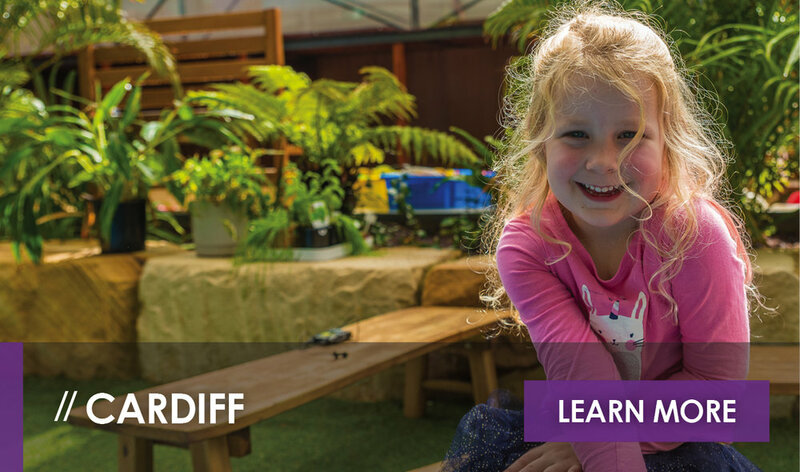 Take a look at St Nicholas Early Education Cardiff’s Community Corner! 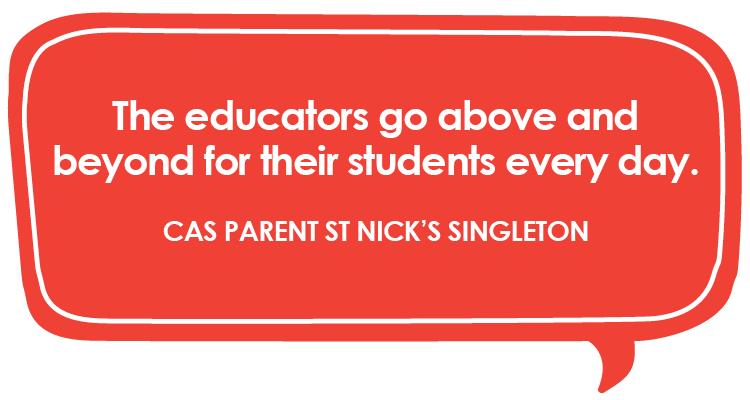 Pip, a mum of two sons who attended St Nicholas Early Education Singleton, shares what she loves about St Nicholas Early Education. 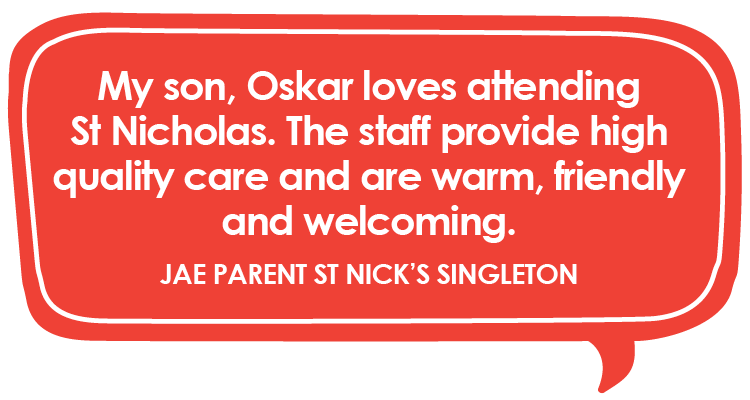 Sarah, a mum at St Nicholas Early Education Singleton, shares her experience taking her sons to St Nick’s. 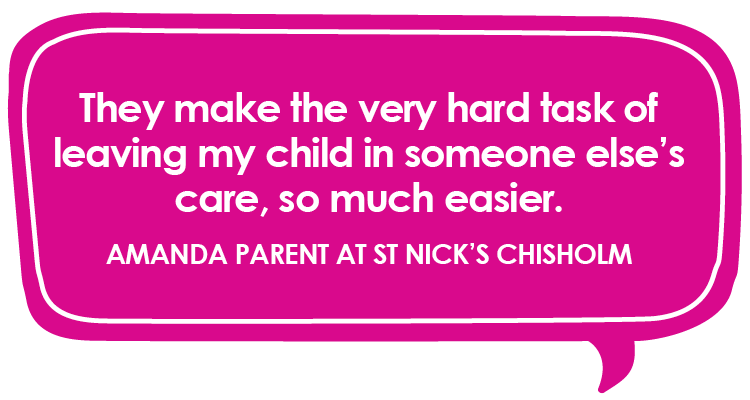 Melissa, a mum at St Nicholas Early Education Chisholm, shares her experience with St Nicks Chisholm. Britt, a mum at St Nicholas Early Education Cardiff, shares her experience as a mum of two twin girls attending St Nick’s. Curious about who St Nicholas is? Find out in this article. Some children from St Nicholas Early Education Newcastle West share their thoughts on the Christmas season. St Nicholas Early Education’s open day - held last Friday - was a staggering success. 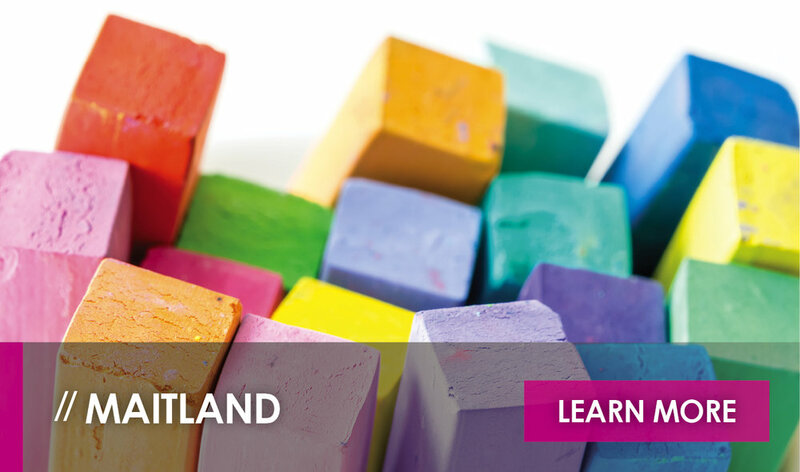 Building a sense of community in each child is an important part of early education. 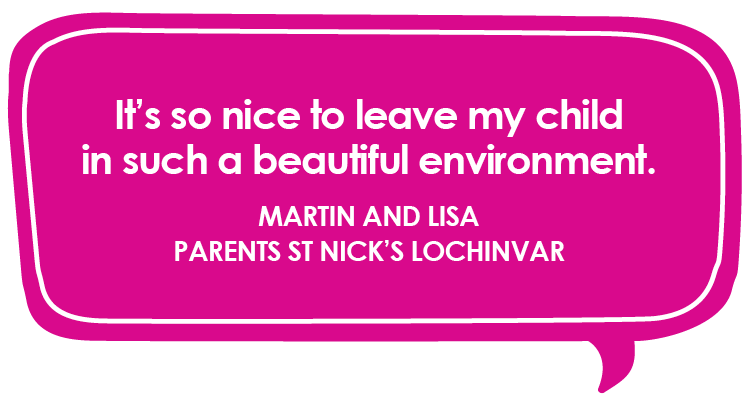 Come and experience St Nick’s Lochinvar for our Open Day on 21st September. 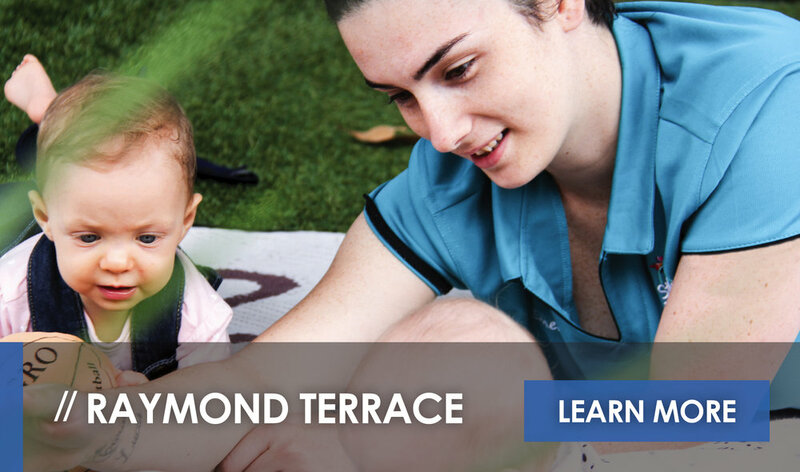 For older pre-school students, the journey of a lifetime is about to begin as they prepare to start kindy at the beginning of a new school year. 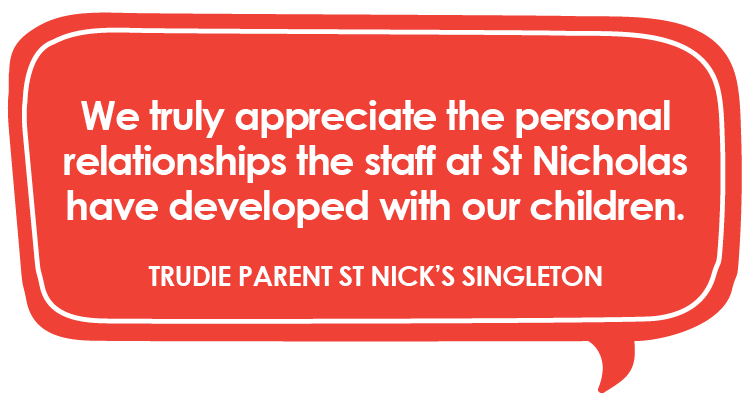 Each St Nick’s centre is woven into the local community and each centre plays an important role in building bright futures and creating positive outcomes for the children we teach and care for each day. The children of Mowane Room at St Nick's at Newcastle West attended the NAIDOC Week community day held at Newcastle foreshore. Imagine it is possible to see the needs of those around you. There is an innateness to the curiosity of young children. 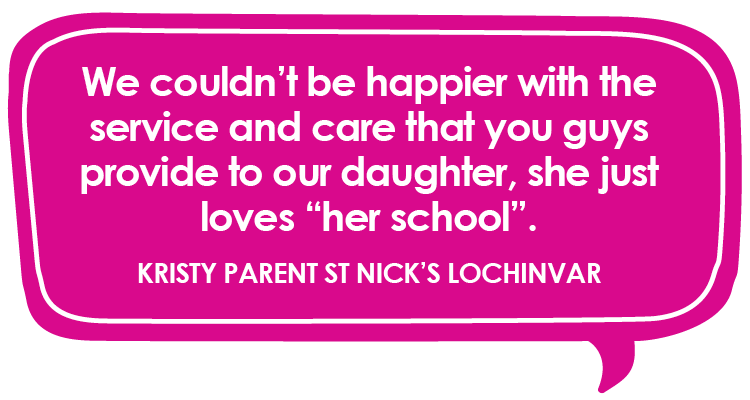 St Nicholas Early Education at Lochinvar only opened recently, but already visitors to the centre can see the ingenuity and creativity of both the children and their educators on display. Curiosity drives infants and toddlers to explore and experience the world around them. 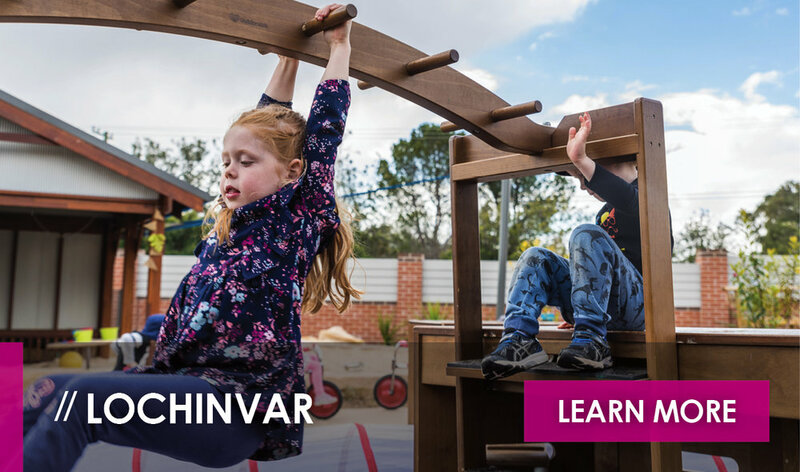 After opening early education centres in Chisholm, Cardiff and Lochinvar this year, you might think Diocesan Chief Executive Officer, Sean Scanlon, has plans to rest on his laurels - but there’s no rest and relaxation when it comes to St Nicholas early education. Media coverage of the recent official opening and blessing by Bishop Bill of the new St Nick’s early education centre at Lochinvar was very positive.